The last one is important because it sets an virtually infinite ceiling. If you didn’t have that 9999999 rate, then anything over 40lbs would have no available rate and would show an error. 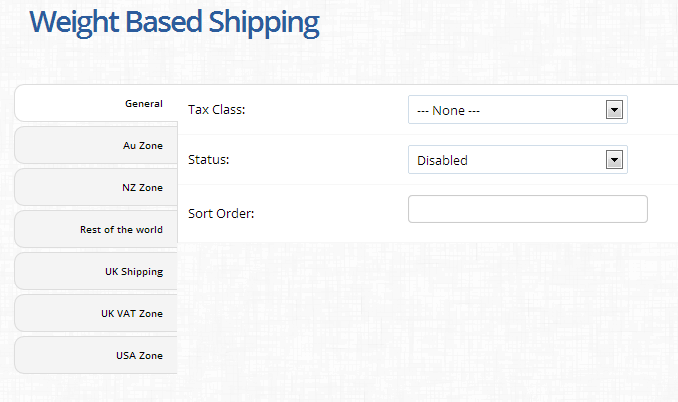 Weight-Based shipping also supports multiple geozones.